In addition to counting steps and calories burned, the Garmin Vivoactive can track a variety of activities, from golf to swimming and running. When paired with a smartphone, the Vivoactive can display notifications of incoming calls and messages, and can be used to find your phone. The Vivoactive's battery life is impressive, lasting up to three weeks before needing a charge. 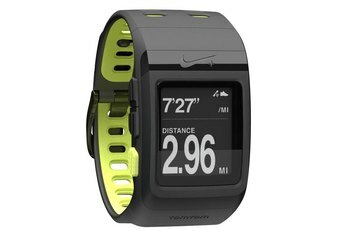 Not all Vivoactive models include a heart rate monitor. Sleep tracking features are limited compared to those of rival products. The display is a bit dim and can be hard to see in low light. If you took an activity tracker, blended it with a smartwatch, and added just a touch of high-end sports watch, you might come up with Garmin’s Vivoactive. This GPS-enabled watch can track a variety of activities, including running, biking, golf, and--because it’s waterproof--swimming. It also counts steps, tracks calories burned and sleep. The Vivoactive connects to a smartphone by Bluetooth and can receive notifications of incoming calls and messages. Some models of the Vivoactive come with a wrist-based heart rate monitor. In typical use, the battery can last up to three weeks. Three! Even the Fitbit line of products, which have excellent battery life on average, typically last no more than 10 days. 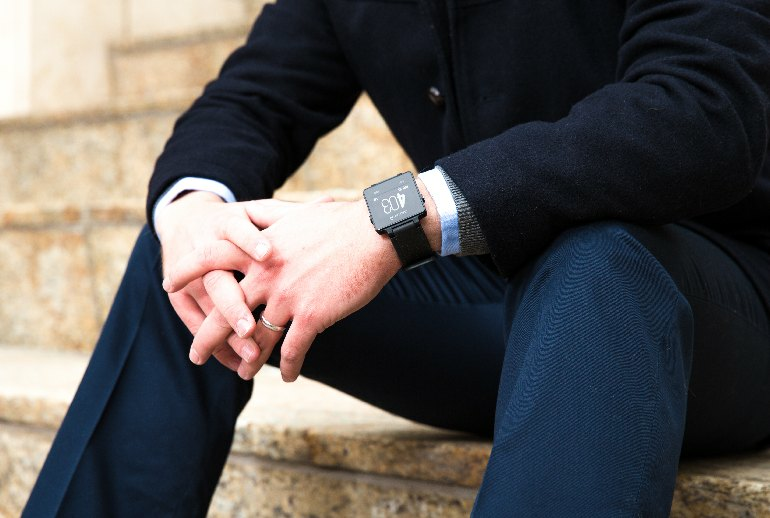 One of the best features of the Vivoactive is its ability to function as a standalone device. You can see your daily step count, distance traveled and calories burned right on the watch itself. 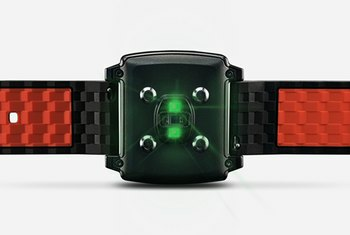 Using the watch while undertaking an activity isn’t all that difficult, mostly because of the physical start/stop button on the right side, and you only have to use the touchscreen when it comes time to save an activity, or if you want to scroll through the metrics while your activity is being recorded. It isn't going to turn heads, but there's a charm to its fairly low-key style. It’s slim and far smaller than many a full-on runner’s watch, or any Android Wear watch. 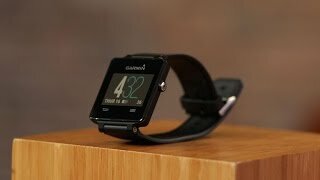 The design of the watch itself is a big throwback to the square-faced watches of 2013, and it looks uncannily like a first generation Sony SmartWatch. And in case anyone confuses that with a compliment, it couldn't be further from a positive. The Vivoactive is not a flat-out bad-looking watch. It's just a bit boring. 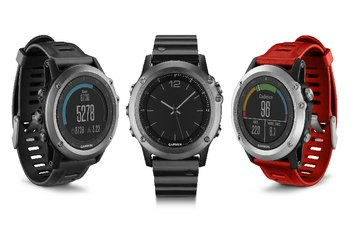 With the Vívoactive, Garmin has blended the fitness-tracking features of the Vívofit with solid GPS tracking tech, all wrapped in a thin, lightweight, stylish, modern watch. 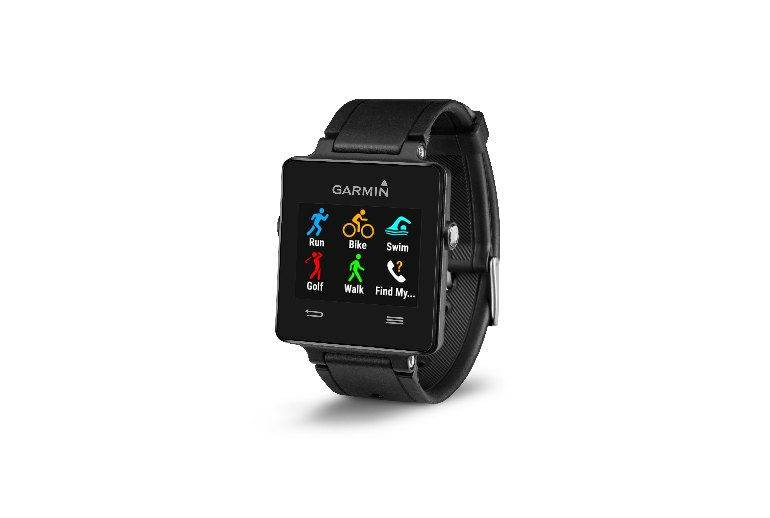 The Garmin Vivoactive woke me up bright and early at 6 a.m. by vibrating on my wrist. I was pleasantly surprised by how powerful the alarm was; this is one of the few wearables that could really wake me up. From a design standpoint, the Vivoactive is brilliant. From a software standpoint, it feels almost like a beta product. At $250, the Garmin Vivoactive’s list price approaches the low-end price of an Apple Watch—but that’s because this device is more than just a fitness tracker. With its always-on 1.13-inch touchscreen, the Vivoactive can function as a fitness tracker, a smartwatch, and an actual watch. Sleep data is captured, but the presentation of that data is lame. You only see a rather strange graph that shows you how low to high movement was captured with a total time of sleep. Oh, and that button on the left? It manually turns on the Vivoactive's LED backlight -- no different than your cheapo Timex of yesteryear. Talk about taking a step back in time. 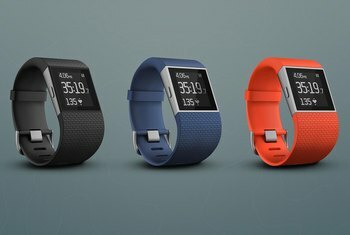 While built-in heart-rate tracking is becoming more common on trackers like the FitBit Charge HR, Jawbone UP3, or Basis Peak, it is sorely lacking here. 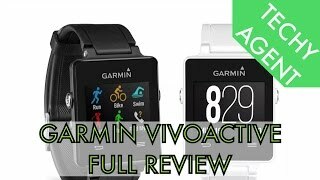 Garmin vívoactive - REVIEW - Best GPS Watch?